Sticky: Habbox's 12 Days of Christmas ~ 78 amazing prizes up for grabs! Sticky: [HxHD] Now! That's what I call Habboxmas! Sticky: [Competitions] Now that's what I call Habboxmas! Sticky: [Christmas] Now! That's What I Call Habboxmas! Who will you miss most this Christmas? Poll: VOTING IS OPEN! Christmas Karaoke! [VOTING] Christmas Karaoke Voting Time! 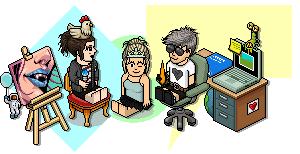 Habbox Christmas Karaoke - Come Apply! Wanting To Post Before Christmas? Do you do Secret Santa?